For years saturated fats have been considered a health hazard but now researchers are raising questions about whether they’re as harmful as originally thought. A new observational study published in the British Medical Journal shows no link between saturated fats and a greater risk of death, stroke and heart disease. Results show that consuming man-made trans fat was associated with a 34 percent increase in death, a 28 percent increased risk of death from heart disease and a 21-percent increased risk of heart disease alone. Patton says that’s likely because trans fats increase your bad cholesterol and decrease your good cholesterol which then increases your risk of heart disease. 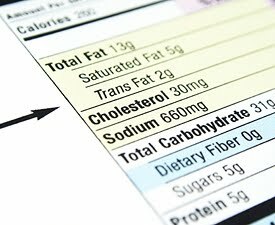 Trans fats should be avoided and are often found in pre-packaged foods, so it’s important to read the nutrition labels. Even labels that say ‘zero grams’ trans fat may still have some – so be sure to look for partially hydrogenated oils, a form of trans fat, on the ingredients label. Soon, however, all foods will be required to be trans fat free. In June, the FDA announced that it will require manufacturers to phase out trans fats from processed foods over the next three years. In this study, researchers did not see a link between saturated fats and risk of death, heart disease, stroke or type 2 diabetes. Saturated fats are commonly found in animal products like butter, cows’ milk, meat and egg yolks. Patton says it’s okay to include some saturated fats in your diet, but keep in mind that it’s still unclear how they impact heart health. “The saturated fat issue is still a grey area so you still want to keep it in moderation because we do know that more of the plant based fats actually have a lot more heart protective benefits,” Patton says.